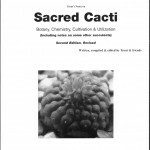 This article and the rest of the book Sacred Cacti are now best viewed at http://sacredcacti.com My apologies for any 404 pages resulting from any link on this website that is being overlooked by me. It appears to be a ripe time for reevaluating the article entitled “the Peyote crisis & some suggestions“. This was variously positioned as Chapter 2 or Chapter 3 in the revisions of the book Sacred Cacti. That chapter, as written, is greatly in need of revision & updating; and some additional questions being asked about *its* suggestions. Our use of the word “I” in this article simply means we want to say this with one voice. Use of the word “we” refers to the reader and ourselves. This commentary, as written, is meant to serve the great need for better accurate public education and has been constructed primarily for clarity of presentation of the contained material. It has not been created with the same density of in-line references such as would be the case for a work that was intended for print publication in a peer reviewed journal. 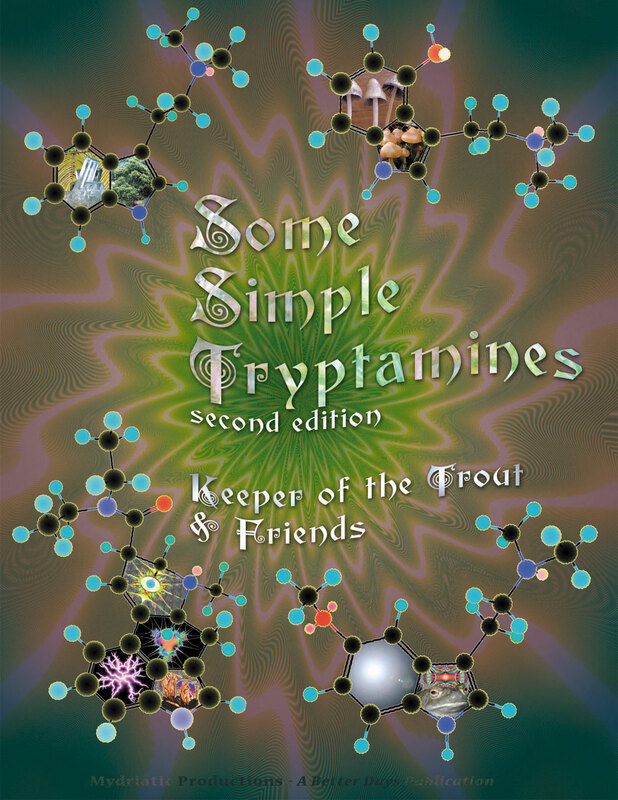 It is hoped that adequate documentation and references are included for the benefit of people wanting to learn more but if YOU want to learn more or need any additional clarification or supportive documentation please drop an email to keepertrout at gmail and ask. Accompanying this information is the feeling that there is some urgency in it being released. It is therefore being made available for public inspection and comment without further delay. The plants of tomorrow begin with the seeds that are planted today. Leo Mercado 6 July 1998 (personal communication). Those same plants were later seized (as part of a dump-truck load containing more than 11,230 living peyote plants) and destroyed by a “multijurisdictional task-force” of law enforcement officials despite Leo at that time having been found in court to be in compliance with Arizona state law permitting the sincere religious use of peyote. In the aftermath of what can only legitimately be described as a terroristic home invasion, Leo posted a notice online that he had replanted the 200 or so peyote plants that had been missed or dropped during the raid. No charges were filed, which fact was likely to prevent a return of his peyote as had occurred after the first time that they seized Leo’s peyote. Instead Leo’s landlord found himself being threatened with the seizure and forfeiture of his property if he did not evict Leo and his family. The basis of that threat was his supposedly renting to a “known illegal drug dealer”, namely Leo! Apparently Leo’s living example as a human of only modest means successfully propagating and cultivating large numbers of peyote plants outside of Texas was too powerful of an example to be allowed to exist. 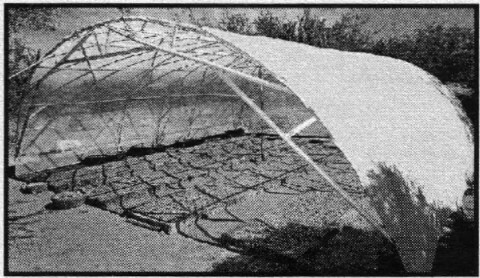 At the very least, his Kearny, Arizona shade-house and gardens had to be seen as an awkward truth running counter to the lies actively being propagated about it being impossible to grow peyote outside of its native habitat. From Ch. 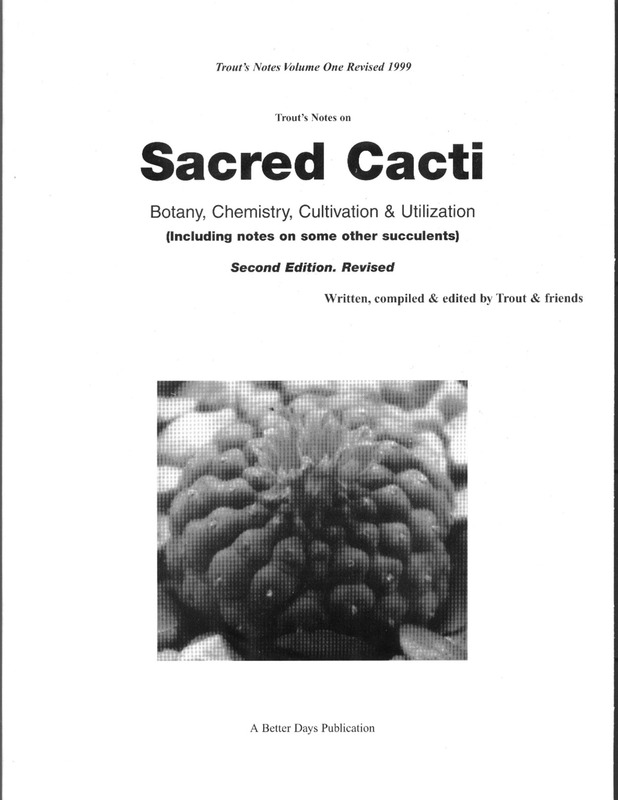 3 in Sacred Cacti 3rd edition (with some edits). Cutting crowns flush at the level of the ground has been established to be the best known harvesting technique for peyote. This approach to enable sustainable harvesting has been known of and employed by peyote consumers in Mexico for millenia. The archaeological peyote specimens discovered strung on a cord at Cuatro Cienegas are more than a thousand years old; the Shumla peyote effigies are over six thousand years old. One suggestion, really, is all that is required; assuming that it can be heard, without prejudice, where it matters. It is really simple yet that simple truth of the matter has been almost completely buried, if not forgotten or deliberately obscured, in rhetoric that has at times variously been self-serving, manipulative, deceptive, disingenuous, confused, based on misunderstandings, culturally bigoted, or sometimes even entirely delusional. There really was not any delicate way to put that so I apologize for trodding on anyone’s conceptual toes. If peyote is a pressured species, why isn’t it cultivated? The question, “why isn’t it cultivated?” is a really good one. You and I will be exploring its answers in some detail. We should start by clarifying some things and being certain that we all have a good grasp of an unnecessarily convoluted story. Peyote is most certainly not extinct as some people strangely seem to believe and are even willing to say openly as if it were a fact. It is not yet really even an endangered species as more than a million living peyote crowns were no doubt harvested in South Texas again this past year by the licensed peyote distributors (I have to say probably as the numbers are not yet available). A perception that the pressure from peyote harvesting is endangering the species is nothing new. While it does not appear on any federal listing of endangered species, peyote WAS declared an endangered species by the Texas Organization of Endangered Species (TOES) according to Morgan 1983: 83-84. Despite having a long history of cost sharing with land owners for brush removal and clearing of land, since the late 1970’s the U.S. 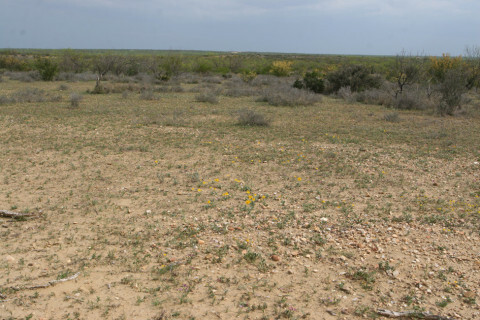 Soil Conservation Service has refused to do so in any area containing peyote, as the SCS recognizes it to be a potentially endangered member of Texas flora (Morgan 1984: 292). 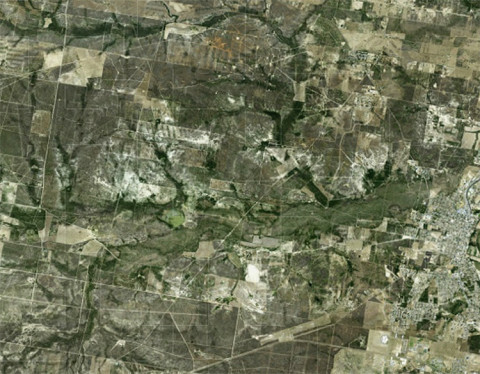 Their lack of financial contribution has not slowed the clearing of land in the development of South Texas. 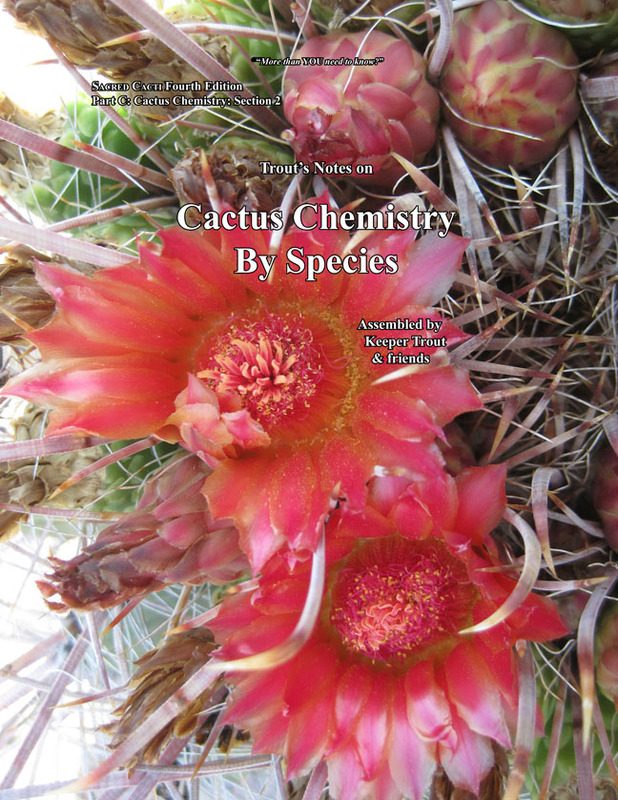 Only recently was peyote actually finally recognized as having adequately dwindling numbers to merit being assigned a status of “vulnerable” and being placed on the IUCN Red List of Threatened Species. Version 2013.2. [http://www.iucnredlist.org/details/151962/0]. Debates as to whether it should or should not be placed on the Red List had been going back and forth for some years, Oddly, what seems to have tipped the balance of opinion was the appearance of cosmetic/pharmaceutical industry products known as Pomada de Peyote. [Link 1] [Link 2] [Link 3] [Link 4] [Link 5]. 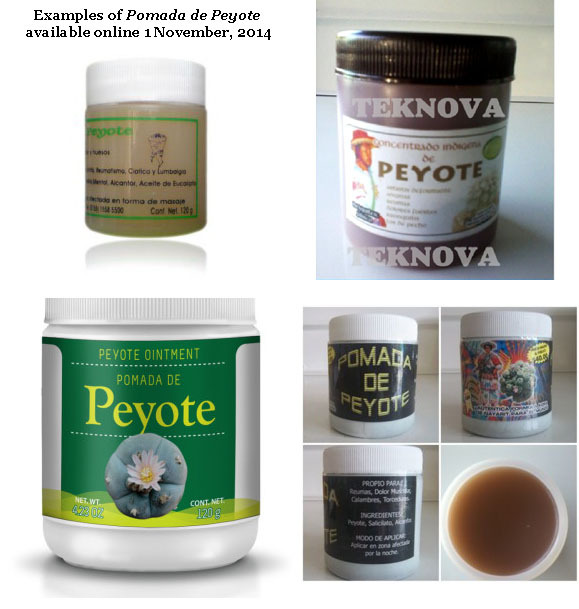 I’m not including these links to suggest that any should be patronized but simply to note what came up in a Google search for “pomada de peyote” on 1 November, 2014. Here are images of five of the products that were found to be offered on the first search results page. It is certain that as both a liniment and an ointment, similar formulations have existed for a very long time at the folk level, and more recently as products of a local cottage industry. These products have likely achieved visibility only when the distribution venue was moved from local yerbarias to online marketing. ” The use of peyote is traditional among some Hispanics in South Texas, too. “When I was younger, you could buy it at the market in Nuevo Laredo, or at any of the local yerberias (herb shops),” [Salvador] Johnson said. Grant 2000 Ft. Worth Star-Telegram, Sunday, 23 January. One of the companies now producing pomada de peyote is an established business that is substantial in size and has previously developed other successful product lines. The future development of this product will be interesting to watch. It may be noteworthy that the number of different producers showing up as hits on the first Google search result page went from two to five within the past year. Peyote is not endangered as a species for a variety of reasons. The most notable being that there are large expanses of the Mexican peyote populations left. The secondary reason is that not all peyote is accessible for harvest. In some cases, harvests are deterred by a lack of road access but in at least one instance a local population (in Mexico) is protected by the resident humans who interestingly do not use their local peyote for any purposes other than as an external analgesic applied to burns, bruises and aching muscles & joints. In Texas it is a different story. 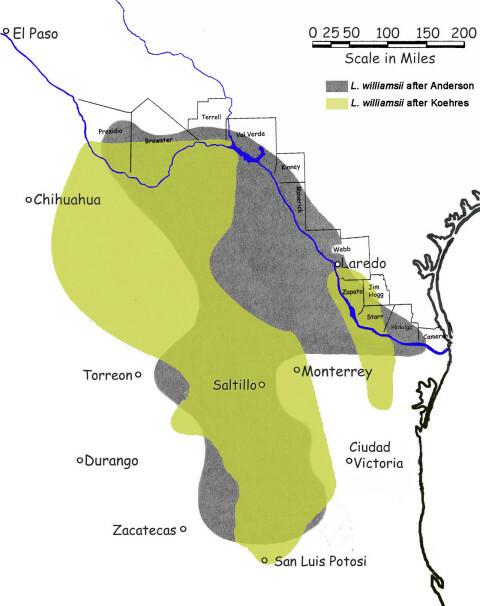 The vast majority of its peyote populations have long since been removed during the course of the modern-day occupation/development of South Texas real estate and the collateral development of its assorted resources. Some peyote finds protection on large ranches with tall fences designed to retain game animals that are hunted for a hefty fee. When the owners of such large tracts of brush also do not permit peyote harvesters to access their land those properties form unintentional peyote reserves. The land that is left as accessible is heavily impacted by the existing peyote trade. In addition, the commercial peyote harvest has been insufficient for meeting NAC needs for some time. There are two distinct but inseparable subtopics within this main topic of the threats to peyote, whether those threats are due to habitat loss or over-harvesting or any of the other known challenges that peyote faces. One is the future of peyote as a species and the other is the future of the NAC as a Medicine-based spiritual organization that has both adequate and uninterrupted access to its Medicine. We will examine both of those subtopics separately as this overview unfolds. What has happened to create dwindling peyote populations? Reading the popular press or listening to people talk, one would think that overharvesting by Native Americans or “hippies” is the cause. One or the other or both typically gets the most common and most vocal blame. This is true, despite it being absolutely clear that the vast majority of peyote’s obliteration, both in terms of absolute numbers and in total acreage, has actually been the incidental destruction of populations during the process of land conversion. All other factors combined pale by comparison. There have been many reasons for this; the development of land for various projects, such as construction projects, shipping centers, parking lots and tract communities, or as a result of the brush suppression methods that enable ranchers to use their land for agriculture or ranching. Once a piece of land has been converted, peyote does not return. Aerial view of a portion of the Peyote Gardens in Starr County showing extent of the land use and clearing. Photo clipping came from a topographic map from the US Geological Survey (USGS). Most of peyote’s habitat in South Texas is covered with a tangle of dense thorny brush. To make their land available for agriculture or cattle, it was once a common practice for landowners to root-plow the soil due to the tendency of the thorny brush to come back with an aggressive vigor after being cleared. Root-plowing severs the roots below the soil surface thereby weakening whatever of the roots can’t be uprooted and suppressing their ability for good regrowth. Or at least suppressing it for longer than might be the case without it. Repeating the process a few times does help but it is noteworthy that what actually becomes most suppressed is the diversity of life while the actual species that were attempted to be eradicated often go on to become the predominate vegetation. 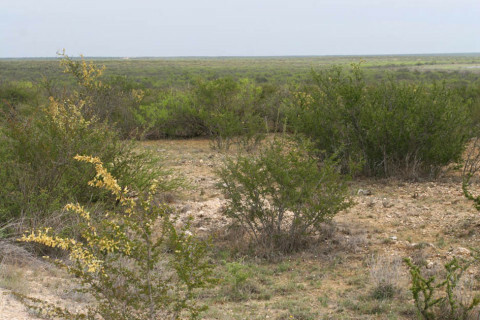 Land in Maverick County that was root plowed several decades ago. The ranch foreman claimed that peyote was here before that occurred. Their most likely intended target for eradication was the Acacia rigidula which comprises about a third of the plants seen in the lower image above. Root-plowing has been determined to have lasting adverse impacts when used in dry regions. In arid environments with abundant limestone, in this case it is present as a calcareous gravel, rainwater dissolves the carbonates and other soluble ions but there is insufficient volume of water to carry what is dissolved more than a fairly short distance into the earth, accumulating and eventually creating a bed of ‘caliche’ at the depth of maximum moisture penetration. Due to rainfall being variable in the total amounts delivered per storm, this eventually forms an irregular gradient of alkali concentrations existing between the caliche and the surface ; with the surface obviously being the most life friendly. The layer of decomposing organic materials at or near the surface adds to the ability of the soil to support life. This natural zoning develops over long periods of time with whatever level of moisture they DO have accessible. As it becomes increasingly basic with increasing depth this also means that that the surface is most amenable to supporting life. Accompanying that is the observation that, as rains moved part of the soluble alkali into the earth, that action helps make the surface more life friendly. This fragile balance becomes completely undone with the mixing of the top half meter of soil during root plowing. In this process, the more basic material that has been migrating away from the surface is partially returned to the surface during the mixing process. Recovery is typically slow since the reduction of the alkalinity at the surface level relies on repeated water percolation over time. The resulting increase of surface alkalinity leads to a die-off of small cover plants following seed germination and adds prolonged difficulty in reestablishing the normal flora. In adjacent areas that are used for agriculture due to being more sandy loamy than gravelly, and additionally due to the topography of the land being flatter & less sloping, this creates problems with blowing dust. As a result root-plowing is now discouraged for those soil types and when it becomes needed specialized implements are used to selectively remove single plants. The important thing to understand about root-plowing is that unlike the thorny brush that the root-plowing is intended to eradicate, a single thorough root-plowing will generally permanently exterminate all of the existing peyote on that a given piece of land. 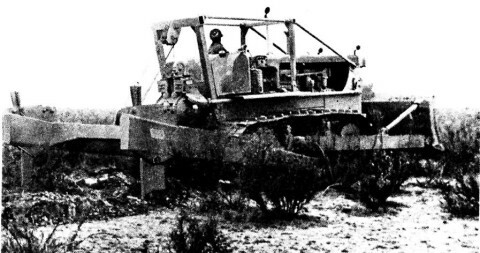 If you want to gain a really solid grasp of this technology and a better understanding about why it would impact peyote so adversely, visit http://YouTube.com and search for “root plow” or “rootplowing“. Nothing describes the process better than watching a root-plow in action. Other brush-clearing methods are not less destructive to peyote but they do impact the soil and ability of the land to recover less than root-plowing. YouTube can provide looks at modern techniques of “brush clearing in South Texas” as well. 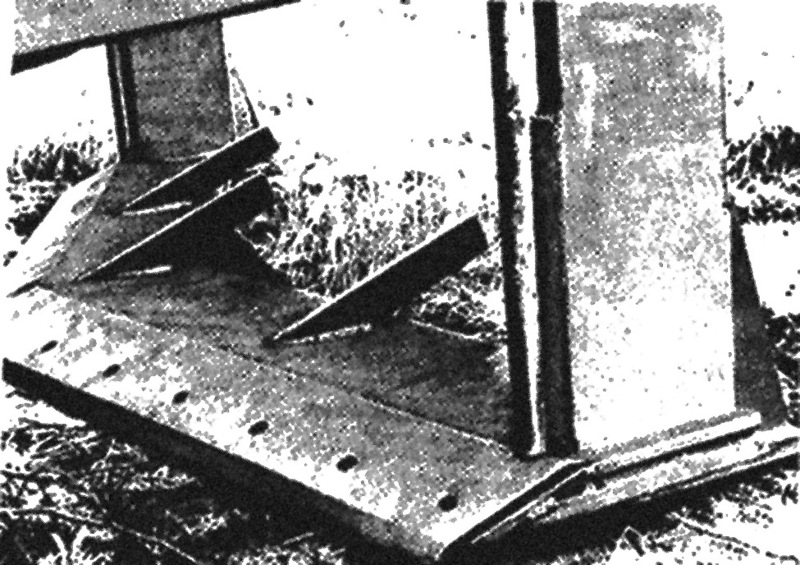 Root plow Those fins are designed to force the severed roots to the soil surface and into the sun to dry and die. training manual entitled “Tactical Land Clearing”. A new threat to peyote in South Texas are windfarms which choose the highest points in the Bordas Escarpment for their placement. These of course need an access road permitting both construction and maintenance. Those roads potentially carve through some of what few undisturbed peyote populations still remain in South Texas. What do we actually know about the harvesting of peyote? Surprisingly little study has been done on the impact of harvesting itself. As far as I am aware, only one organization, a nonprofit group named the Cactus Conservation Institute, has taken the time to learn more despite the immense need for this information as regards both the NAC and peyote conservation. It is clear that the peyote plant is a resilient species or it never could have permitted mass harvests to continue for so many years in the face of diminishing habitat. 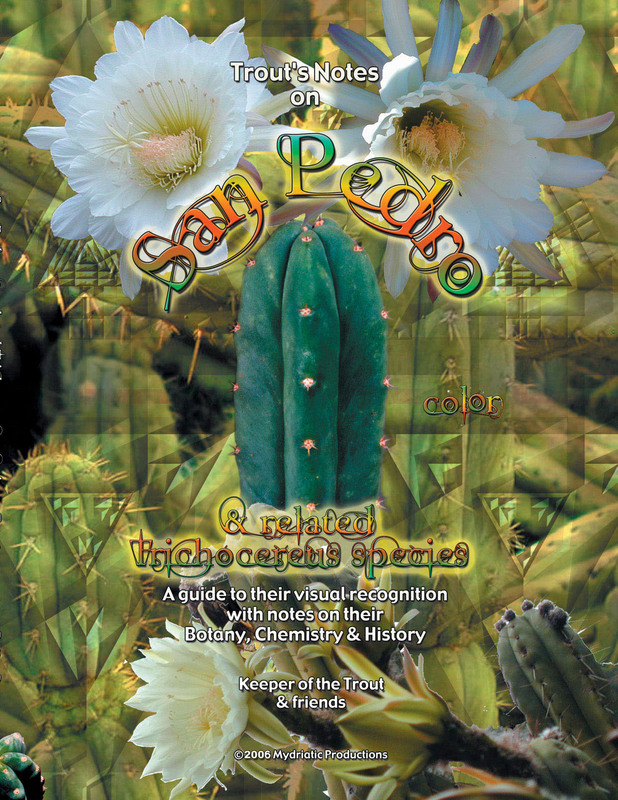 There are many articles that are available concerning the harvesting of the peyote plant and about its habits and habitat. It IS known that the best way to cut peyote is at ground level. Cutting too deeply increases mortality and weakens those plants which do manage to recover. The one existing study on the subject was published in Terry & Mauseth 2006. Using a histological evaluation, it was established that only the stem tissue was capable of producing new growth. Root tissue could only grow roots. A visible clear and sharp line of division was noted to exist between the two tissues. Peyote harvesters often use a shovel with sharpened edge or a machete. Both of those tools can work great for cutting at ground level or they can be mis-employed and produce a deeply angled cut. 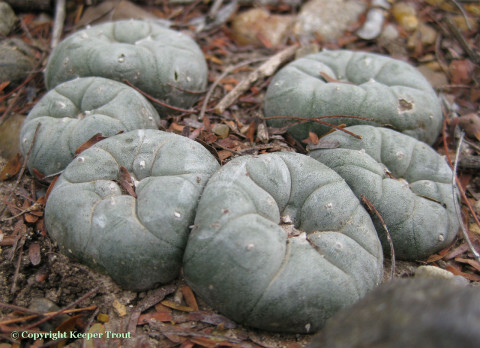 What do we know about the impact of peyote harvesting on wild populations? More complete details concerning the items in this list can be gleaned at the Cactus Conservation Institute website or in Kalam et al. 2013, Klein et al. 2015, Terry et al 2011, 2012, 2013 & 2014. 1) Peyote harvest causes a small increase in mortality. 2) If harvesting is repeated too frequently, this rate of mortality increases. 3) Harvesting also reduces the amount of harvestable biomass of sacrament per plant. 4) The aforementioned observation (3) is initially obscured by the increase in numbers due to the common occurrence of multiple regrowth. However, the sum total biomass of head (crown) tissue per plant, even after 4 years of uninterrupted regrowth, was still significantly smaller than the biomass of the original single head that had been harvested four years before. The study to determine the minimum sustainable recovery period after harvesting is still not complete, but it now clear that the time required for recovery from a single harvesting event is greater than six years. 5) Analysis has also shown that even after four years the regrowth had regained only half the potency of the original crown. It is not yet known how long it takes for the original potency to be re-established in the regrowth buttons. 6) Current and future seed production contributions to the local population are lost along with the harvested plants. 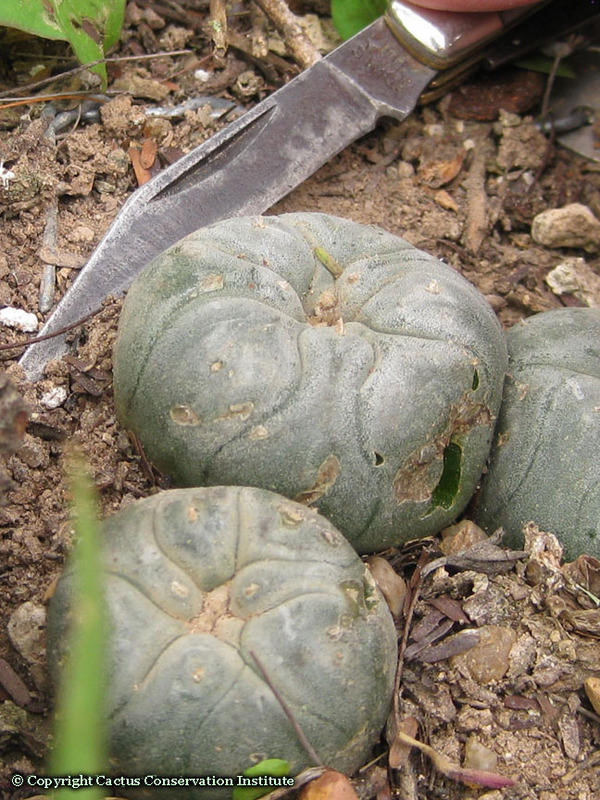 The typical fate for peyote seeds following a harvest is into the trash or compost. 7) The oldest and largest plants have been selected for by their environment as those are the plants which are best suited to survive the peak adverse periods of weather. These are commonly preferentially harvested – precluding any future contribution they might have made to the genetics of the population. This last point may be subtle but played out over a long time can become significant. Following the removal of these genetically superior products of natural selection, future adverse periods of weather will likely begin to produce an increased adverse impact on the remaining population. Let’s go over through that overview again but this time from a slightly different angle of thought and consider those factors in terms of recovery. Recovery is best understood not by looking at recovery of the individuals which are involved but of the health of local populations which are composed of many individuals. 1) Replacement of the plants which die as a result of harvesting. (Replacement in this case is being considered only in terms of the natural recruitment of new seedlings although cultivation and wildcrafting would also enter the picture in this area. Wildcrafting is the conscious planting of seeds or return of plants in such locations where the plant formerly occurred naturally or could have occurred naturally.) 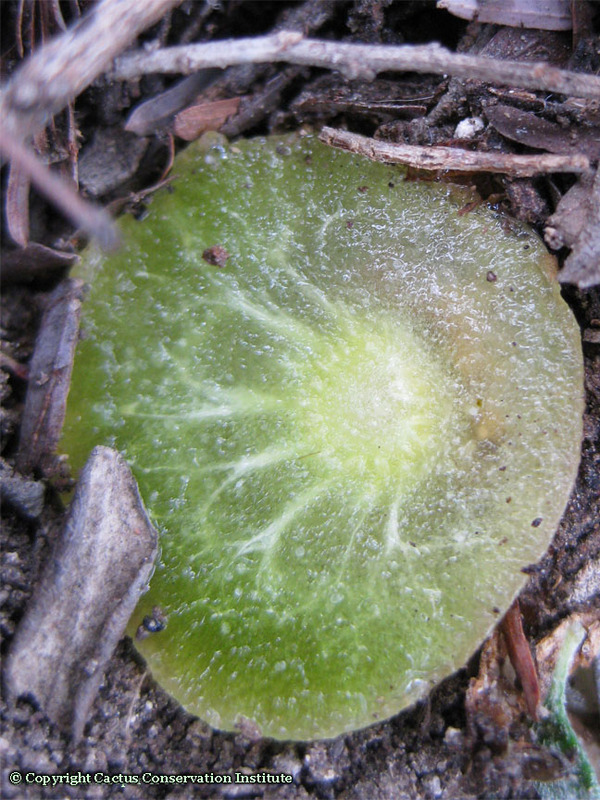 This decrease in survival is thankfully a fairly low rate but it is not insignificant if a field is revisited as each subsequent visit may result in the reharvesting of plants which are still drawing their sustenance from the original reserves of the remaining taproot fragment from their mother and have not yet had time to manage to grow a replacement taproot. The rate of mortality has increased with each time that reharvesting occurred in what limited study of the topic has occurred so mindfulness is needed not just of how deeply a plant is cut but also when it was last cut. 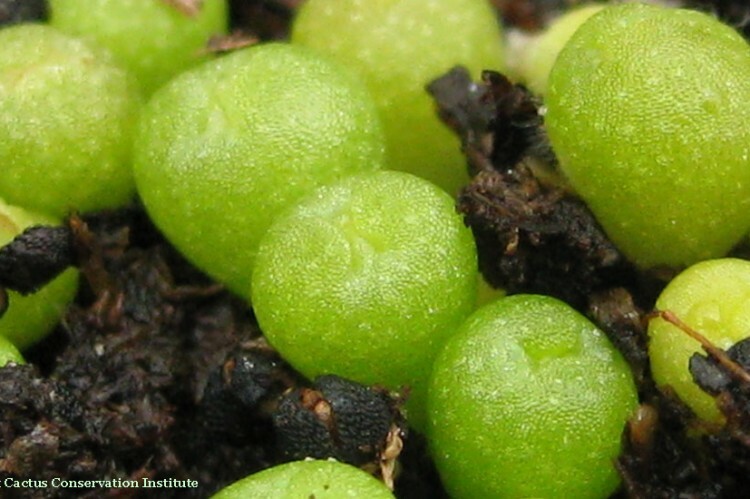 Until after the point that a plant can regrow a taproot it is vulnerable to outright death from loss of its photosynthetic tissues as occurs in harvesting. This subtle but simple fact is somehow often either missed or trivialized: when the crown tissue has been removed the peyote plant loses its ability to use the sunlight. This remains true until after a new crown can be made and it reaches the surface of the ground where it can absorb sunlight to once again photosynthesize and feed itself. Repeated cutting too frequently forces the plant to exhaust its limited reserves and interferes with good regrowth and survival. Plants that have been harvested need adequate time to replace their missing storage tissues (by photosynthesis in the crowns of the regrowth pups) before being reharvested or their death rate increases; eventually requiring their actual replacement. 2) Regrowing new crown tissue to replace the harvested crown with its equivalent prior to reharvesting. Harvesting prior to following that point of recovery will provide smaller and steadily decreasing volumes of harvests. This is a practice which feeds into the spiral towards smaller, weaker plants with higher loss rates. 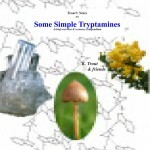 3) Recovering the original level of alkaloids. After four years the average alkaloid level of new growth was only half that of the original crown. It is presently unknown how long it takes for the preharvest alkaloid level to be restored. Harvesting prior to following that point of potency recovery will provide an inferior quality of harvests, requiring consumers to ingest more plants, which also feeds into the extinction vortex towards smaller, weaker plants with higher loss rates. 4) The population also has to recover from the impact of however many years it would take seeds from those harvested plants to be replaced by new seed-producing crowns, and this must be taken into account if wanting to accurately assess the impact of harvesting. Every plant which is taken means that many less seeds are available for the local population for at least a handful of years. This is not insignificant as wild peyote in nature primarily reproduces via seeds. Removing a plant means removing all future seed contribution by that plant. If older plants are preferentially harvested and as numbers dwindle the age of first harvest also decreases, it rapidly produces a situation where the only plants to harvest may have flowered only once or twice or not at all, creating a huge seed production deficit for the local population. In the event of adverse weather (whether prolonged drought or beyond average freezing) causing an above average loss rate, this adds to the risk that the local population may not recover. I’ll let you, the reader, do the math for yourself. This plant was previously harvested multiple times and the severed crowns sold through the licensed distributors. While the harvesting was conservative enough to not lose the original taproot, this individual strains the concept of “sustainability“. Also notice the steep angle showing careless cutting during two previous harvests. What about the sustainability of harvesting? Peyote harvesting appears to be a sustainable practice, at least in potential or in theory. In its present-day application however, the slow attrition process leading to the endangered species path has already clearly begun. It is clear that the consumers of peyote still have plenty of peyote to last for some years to come. Maybe even for the rest of our lifetimes, especially if you are middle aged like me. As Kimberly Cover pointed out in 2005, that report’s definition is curiously similar to the Iroquois concept of thinking with responsibility for the next seven generations. Much more study is needed to better define what was seen in the limited harvesting studies that exist but this is how it looks at the moment: The increased rate of mortality that results from a one time harvest is low enough so as not to adversely impact the long term survival of a population. That only appears to be true when adequate time is permitted between harvests. Some period greater than six years is all we can say about that number pending future data emerging. If enough plants of adequate size and potency exist to fill the anticipated needs of the active NAC membership and those plants are being reharvested no more often than they can regrow and return to being what they were prior to the point when they were first cut, harvesting appears to be sustainable. Anything which creates an average result that achieves less than that, such as is presently the case, is not a sustainable practice. Probably the single most important element as to why cultivation is not already a part of the picture is the simple fact that none of the non-NAC people who are legally involved in the supply side have actual legal protection permitting them to cultivate peyote. They are in general law-abiding respected citizens who want to stay out of any trouble. Additionally, the peyote distributors can lose their licenses for violating the law. “§13.42. Peyote Distributor Registration. (d) Activity not authorized. A distributor registration does not authorize the distributor to: (1) manufacture or cultivate peyote; (2) ingest or use peyote; (3) deliver to an individual who is an Indian as the term is defined in AIRFA, unless the individual is also an Indian as the term is defined in this subchapter; or (4) import or export peyote except as permitted by federal law. Notice that this is a dysfunctional “one-price-regardless-of-harvest-size” scenario that actually encourages the maximum possible harvesting to occur per visit. Since the law further sets the retail price as being per piece (i.e. per button) and not by weight there is just as much financial motivation to harvest tiny plants as older ones. Increasing difficulty in gaining access adds additional motivation to maximize the harvests recovered on every visit. While that degrading analogy blames the “Indians” there is actually a highly valuable insight if we look at what IS actually real within that notion — namely, as is also true for a rancher’s grazing animals, the NAC is in fact being constrained and provided with its Medicine in a regulated and controlled manner rather than having the freedom to do as they choose. Blaming Native Americans for the, ahem, “over-grazing” problem is about as sound as a rancher blaming their grazing animals for “eating too much” rather than, in this case, correctly recognizing that any “overgrazing” was the direct result of negligent planning, counter-productive activities and incompetent management on the part of the ranch manager. Similarly the fees charged by ranchers for access are high enough to stimulate maximizing the harvesting per visit as well. Johnson has mentioned ranchers’ greed raising access costs from what once was a pittance to something more significant. Grant gave a 2000 estimation of it then typically costing $1,500 or $2,000 a month for a peyote lease; which provided a small work crew with access to locate and harvest crowns that were then being sold at the retail level for around $0.15 each. There is at least one rancher in South Texas, the identity of whom is being withheld, who has discovered a unique way to legally make money from his peyote and still protect them from any harm. Instead of leasing his land for the harvest of peyote buttons, he instead “showcases” his peyote plants. He permits organized “eco-tours” to bring visitors onto his property in a bus as part of a fee-based tour. They are allowed to visit his property under tightly controlled circumstances in order to witness and photograph his healthy population of peyote plants. The tour bus also takes the visitors away at the end of the visit so there is no risk of theft. That population is, just as importantly, also located far enough away from the nearest road to ensure that none of their visitors will be able to return on foot. While this may sound cynical, one other highly significant factor in the perpetuation of the status quo is that the peyote distributors actually derive a very good living from their trade. Despite the low cost per button, it is actually a moderately lucrative profession in what is historically an economically depressed region of Texas since the three remaining peyote distributors combined now typically report a total sales of a little under a half million dollars per year ($530,230 in 2013, $434,609 in 2012, $466,590 in 2011, $459,699 in 2010 and $493,834 in 2009 according to DPS records). This reflects their combined totals so in reality it is split into uneven thirds based on how much they actually sell. Each distributor’s total sales pays for their lease fees, their expenses and is also what they pay to the small group of their ’employees’ who help them harvest peyote. In most cases their employees are their relatives. A perceived threat to their income and livelihood is no doubt going to be an important motivating factor and can add some illumination to the larger picture and help us to better understand why there is such resistance to change at the distributor level. It is not a huge amount of money but in a region where relatively few other alternative options for similarly lucrative employment opportunities exist it is certainly something that the people involved are going to care about. Relatively few of the distributors and harvesters could successfully turn into peyote growers without investing resources and time in buying land and/or learning skill sets they do not presently possess. Even if they decided to take that path, it would put them on equal footing at the starting gate along with their new competition only if they had the same level of interest, education and skills as a professional gardener or nursery operator. While the state law that was mentioned previously as granting the distributors their licensing specifically prohibits the distributors from cultivating peyote, the federal law also recognizes that the NAC, or anyone else who is producing peyote for the NAC, has a need to “manufacture” their Medicine (21 CFR 1307.31). [The regulation says “Any person who manufactures peyote for or distributes peyote to the Native American Church, however, is required to obtain registration annually and to comply with all other requirements of law.” That potentially open door for cultivation would apply to any person, NAC or otherwise. There is no special restriction to NAC members in this regulation.] Manufacturing a plant obviously requires growing it or else modern technology has become much farther advanced than I am aware. Congress has further added an affirmative clause that suggests NAC cultivation was at least being envisioned as enough of a possibility that its regulation needed inclusion. (1) Notwithstanding any other provision of law, the use, possession, or transportation of peyote by an Indian for bona fide traditional ceremonial purposes in connection with the practice of a traditional Indian religion is lawful, and shall not be prohibited by the United States or any State. No Indian shall be penalized or discriminated against on the basis of such use, possession or transportation, including, but not limited to, denial of otherwise applicable benefits under public assistance programs. Which, at the very least, suggests that the road to the future cultivation of peyote by the NAC appears to be open as an available option that is protected by federal law. As AIRFAA treats cultivation in exactly the same manner as it does distribution, and because regulated distribution requires a long-standing registration process that functions daily before our very eyes, it would seem to be obvious that Congress intended cultivation to be not merely a hypothetical possibility, but a real option that should be realizable by the act of registration (to be defined and regulated, of course, by DEA). What is not mentioned by Robledo is what source provides the other 3 million of those buttons. It is noteworthy that the amount being estimated as procured independently of the activities of the licensed distributors exceeds their total output by 50%. It is reasonable to assume that he refers to the peyote that is being provided by the independent NAC members who are harvesting their own peyote. This brings us to another element in the story that we will return to again later – in the second part of this chapter. Before moving onward this also is a great example of how much of the current “wisdom” about the peyote trade is based on untraceable rumor rather than documented fact. In the case of Robledo’s intriguing assertion of an actual numeric value for the unregulated peyote trade there are two glaring and inescapable facts that might be easily overlooked: 1) The claim lacks mention of its actual source or providing any indication about where or how this information came into Robledo’s awareness, and 2) it is an absolute impossibility for anyone to keep track of, much less tally with accuracy, the actual extent of the peyote trade occurring independently of the licensed distributors. “About twenty-three years ago a white man appeared at Laredo from the Territory in quest of peyotes. He learned from the Indians up north that in a range of hills about forty miles east of Laredo, these peyotes could be found, He employed Mexicans to gather a supply, which he took north with him. He came in contact with a shipper by the name of Villegas, founder of the house known as L. Villegas and Company. Villegas then began buying these peyotes of ignorant Mexicans and shipping them north to the Indians. This house has been doing this for more than twenty years, but the business has been kept as secret as possible. Villegas has always refused to give the Indians any information as to the source of supply and has also refused all these years to supply Indians with the whole plant, fearing that they would transplant them and thus establish their own source of supply. Half a dozen years ago a member of the firm named Wormser withdrew and established the house of Wormser Brothers, of course taking the secret of the peyotes with him. These two houses very craftily called these peyotes by the name of Japanese buttons, and created the impression locally that they were for some mysterious use by the Japanese. These two houses, in this way, have built up a commercial monopoly in peyotes for the whole United States, practically. About forty miles east of Laredo and four miles from the Texas-Mexican Railway, is an ancient Mexican town of about fifteen families, called Los Ojuelos. It has a graveyard larger than the town itself. It is located close to the edge of some rough, rocky graveled hills, on which these peyotes grow wild; none are cultivated anywhere. They grow wild under the shelter of a bush on these rocky ledges. The Mexicans who gather the plant do not pull it up by the roots, but merely cut off the tops, leaving the potato itself in the ground. The top part of this potato then rots. The lower roots then grow and three or four peyotes often thereby appear where there originally was but one. It requires from one to two months’ time properly to dry these peyote tops for the market. Modern workers appear to be able to harvest faster. Mauro Morales in Roebuck 2004. De Cordoba 2004 speaking of his time with Salvador Johnson. The above reflects the reported activities of the licensed distributors (and their employees) based on figures provided by the Texas Department of Public Safety (DPS). 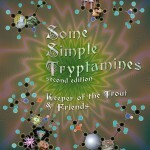 There are presently three peyote distributors and this has been true since 2006. Four licensed peyote dealers were still in operation in 2003-2005. Prior to that there were five and before that there were more. I have heard that a fourth has submitted his paperwork to DPS. It appears to be a relative of one of the existing distributors who is growing older and facing retirement in the future. It is an interesting point of clarity that the licensed distributors who sell peyote prefer to be called “peyote dealers” rather than peyoteros. Math in the fourth column is mine so any mistakes there are mine. The late 1990s is when the average size plummeted for the buttons showing up in NAC meetings in central Texas. In the late 1990s sacks of Mexican peyote became more common. It is very easy to see that a lot more peyote populations exist in Mexico than are inside of the USA. It is important to be aware that peyote grows only in soils that are acceptable to it. This is true within any region it occurs, and therefore this map suggests there is a far more substantial distribution and many more populations than really exist (or have ever existed) within the shaded zones. Anderson created this map by placing the reported herbarium collections, some of which are now known to be erroneous, as dots on a map and then drawing a line encircling them all. For those reasons reason it is extremely doubtful that any peyote actually lives within large sections of the indicated areas. To put it another way, the presence of a solidly shaded area does not imply a continuous peyote population anywhere within it. It certainly does not indicate a lawn of Lophophora. Koehres created his map similarly but incorporates his own field information which is superior to that of Anderson. How difficult is peyote to grow? It is easy to find it said that peyote is difficult or even impossible to grow. Morthland’s “almost impossible” estimates are actually optimistic despite being shorter than reality. A professional cactus cultivator would consider them to be more typical than impossible and would simply take those numbers in stride in his or her production planning. 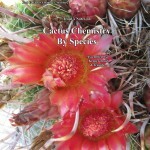 The reality is that peyote is among the easiest and the most forgiving of the cactus species to grow from seed. Peyote, like any other cactus species, is fairly slow growing which is why what is developing contains the elements of a crisis-in-the-making. After cultivation begins in a meaningful way, more than a decade can be expected to elapse prior to the first acceptable harvest. The widely circulated meme that cultivation is somehow either a difficult challenge or an absolute impossibility is probably just simple propaganda that conveniently serves licensed distributors, law enforcement and the powers-that-be alike. 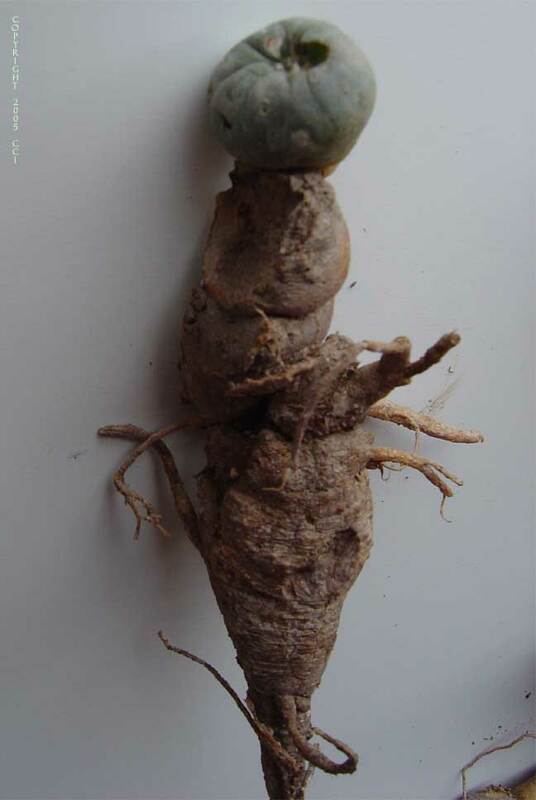 Cactus cultivators have not reported similar results as the image of what is largely Lophophora diffusa in the next photograph should illustrate. These seedlings shown below are growing in Prague. At least, we now understand WHY peyote cultivation is considered to be impossible: not because of any technical issues but rather because the federal, state and/or local police will come and destroy the peyote plants if they learn of their existence. Leo’s “impossible” shade house in 1998. That is only the beginning of this story as it is clear that the cultivation of peyote is easy. Cultivation of someone else’s spiritual sacrament, however, rapidly becomes a quite different subject altogether. The one very significant hurdle for the cultivation of peyote is a lack of acceptance by more than a relatively few members of the NAC. This will be explored in more detail when this commentary continues. More is still to come with part 2. Additional Related Reading Off-Site – Edward Anderson’s thoughts on the Peyote Crisis. … what a great work! … You’re clearly a bit of a fanatic, in the best, Sasha-sense of that word. Like him, you’re an inveterate cataloger, accumulator and organizer of information, which is just what’s called for in this instance. 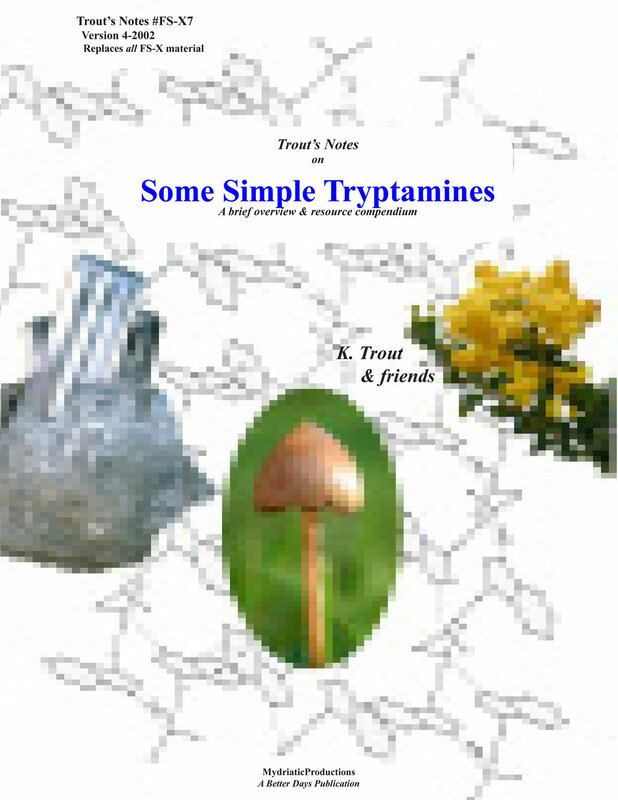 …When people ask me what is the definitive reference on natural tryptamines, I now know what to tell them. … a most useful addition to my reference shelf! You are doing a great job, as thorough as can be…your work is appreciated by those of us who are real information junkies…very few people have use for so much information…most people are overwhelmed by the pap purveyed by the mass media.